First of all, how did these get to a first floor bedroom? At least they are not the 13cm Spanish ones on the news recently! 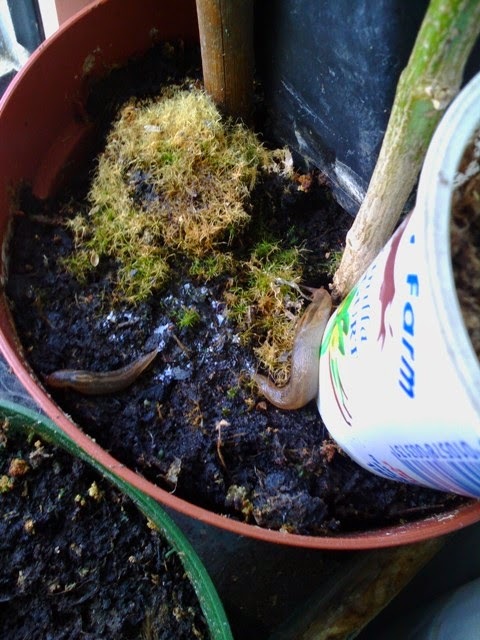 Planting new peppers for coming year into a long tub that sits on a windowledge in a second floor bedroom. 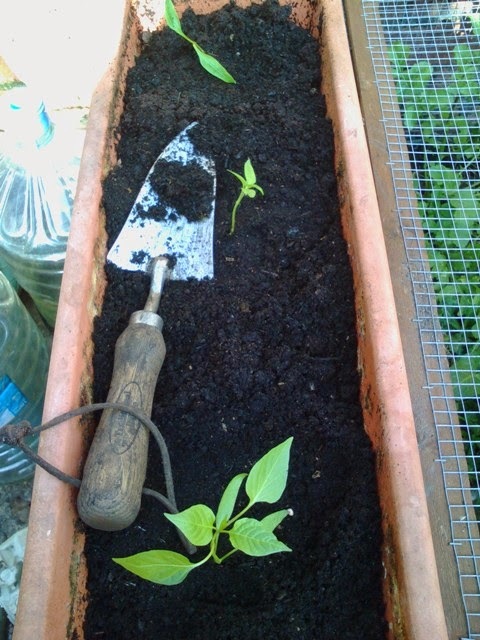 These peppers are not far off ready, peppers appear to be able to germinate at any time given a radiator, light and watering! 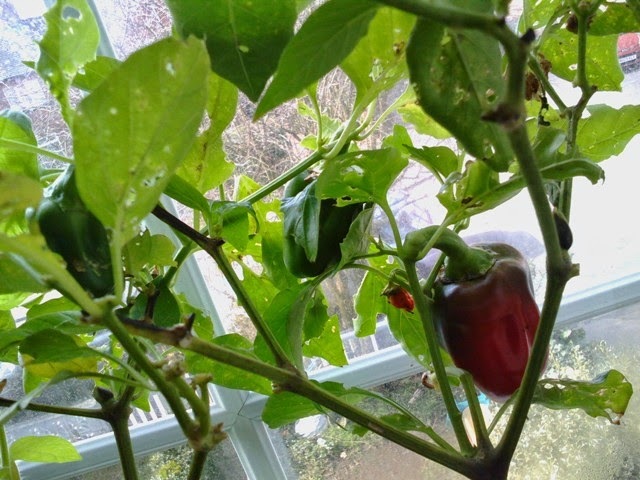 My aim is to get all year round peppers which I think should be possible in the house. 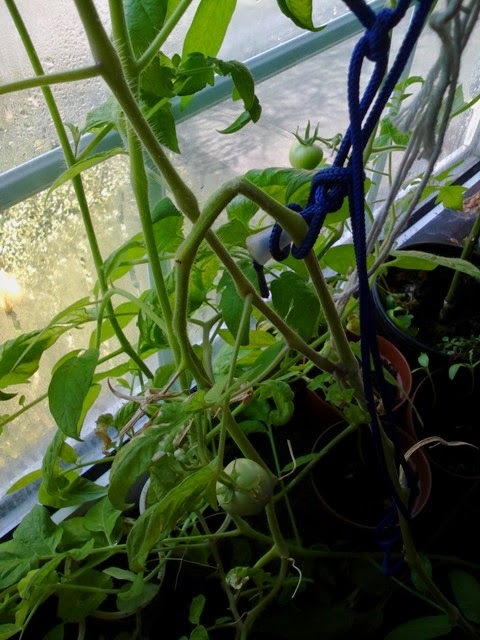 The tomato plant, saved as a rooted cutting from our now deceased 5 year old one, is now producing tomatoes.